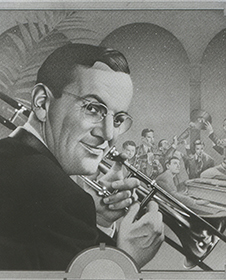 The world famous Glenn Miller Orchestra, with its unique jazz sound, is one of the most popular and sought after big bands in the world today. Closed Captioning is available for Saturday night Seattle Pops performances ONLY. Please call the box office at 206.215.4747 to secure your location. The Glenn Miller Orchestra is a fully self-contained group consisting of the music director, five saxophone players, four trumpeters, four trombonists, three rhythm musicians (piano, bass and drums) and two vocalists. 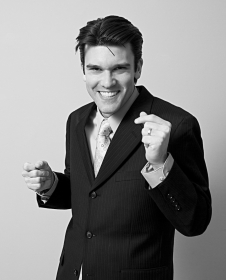 Nick Hilscher is a first rate singer of the American Songbook. A native of Atlanta, Georgia, he began his professional career in his teens, playing piano and singing in the Atlanta area. Hannah Truckenbrod is a jazz vocalist that hails from Aurora, Illinois. Hannah has performed with artists such as Kurt Elling, Ben Folds, Randy Brecker, and the New York Voices. 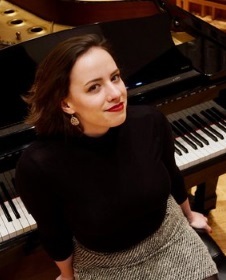 As a section leader for WMU’s premier vocal jazz ensemble, Gold Company, Hannah has performed internationally and appears on multiple DownBeat Student Music Award-winning recordings in the group. Friday performance sponsored by Morgan Stanley.